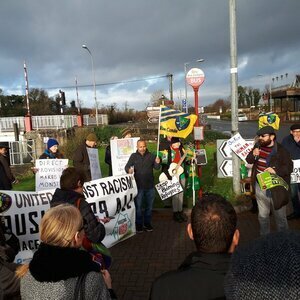 United Against Racism is organising a public rally, as part of its campaign calling for an end to the system of Direct Provision for asylum seekers. 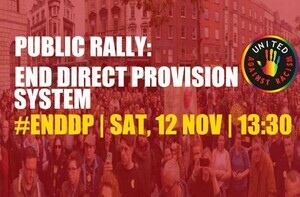 Those taking part in the rally will meet at 1.30pm at the Garden of Remembrance, Parnell Sq, Dublin 1 and march to the Central Bank on Dame Street. Posted in Misc and tagged 12/11/2016, Direct Provision, rally at 11:21 am on November 12, 2016 by Broadsheet. 200 unemployed dole head activists trying to change a system that works…. Low energy. Sad. it does work. Just not for the asylum seekers, most of whom turn out to be bogus. It should work first and foremost for the Irish people and it does. So racism is bad again now? I’ll update my files. Yup, it’s what I think every time I see an pro-refugee post, a repeal post, especially from bodger. He’s conveniently ignored trump and thrown poc, white and LGBT people under the bus for more of the same old white establishment, line their own pockets meatheads who advocate rolling back rights in a host of areas but then expects people to think he’s an ally? Nah, not in the slightest. Clampers. if BS flip flops again I will personally go door knocking. There is passive about it. There is *NO* passive about it. This site is very weird as to what appears after post. Whose door will you knock on and what will you do when they answer? They hardly got that photo from a previous anti-direct-provision march in Ireland did they? Area in photo doesn’t look familiar. €19.50 ain’t bad if you have everything paid for you already. I’m sure some of our under 25’s on their €100 per week would like to have that King of money left over each week. €19.50 for toiletries, clothes, transport, a cinema ticket, a haircut. Hardly the life of Riley. Tickets home for each and every one of them. 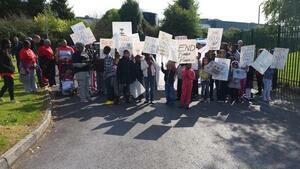 What’s wrong with direct provision? They get fed, they get educated, they get medical cards. It’s better than we do for a lot of our own. What’s the alternative? Just open the gates and let them flood in with no support or direction? Lock the gates completely and save asylum seekers the hassle of having to accept our assistance? Obviously the best solution is to make the asylum application process quicker and more efficient but that applies to every aspect of bureaucracy in this country and if we were capable of doing that we would have by now. Broadsheet says we should just flip over to fascism then send them all back so. I’d pay good money to see their faces as trump assembles his administration with elites and gears up to line his own pockets through corruption. and they thought Hilary was bad lol. You lads have Trump on the brain. Let it go, fellas, you lost. It’s time to move on. Talking about the trump administration is moving on. Well ‘Termagent’ you done your bit to ensure that happened. You are at a crossroads now love. Not to mention surveillance!! Weehoo!! Go on you boy TRUMP. How many u turns would you like this week please? 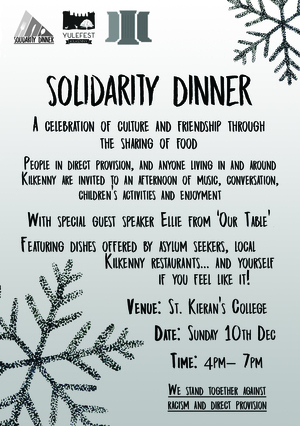 I’ve no problem with direct provision in the short term. The problem is people have been there in the undeniably long term. I think most people are agreed that that is an issue. Why it takes 5-10 years to make a decision is beyond me. That is just cruelty. If Broadsheet would like to be proactive on this, then look at who does benefit from Direct provision.